This unique enamel fixative from Secret Weapon creates a permanent bond between your model and the pigments, without altering the texture or color of the pigments. Apply with a brush over the pigments via capillary action to keep a soft texture. Sprinkle pigments over fixative to get a rough texture. Or create a wash with pigments and fixative for a dusty finish. 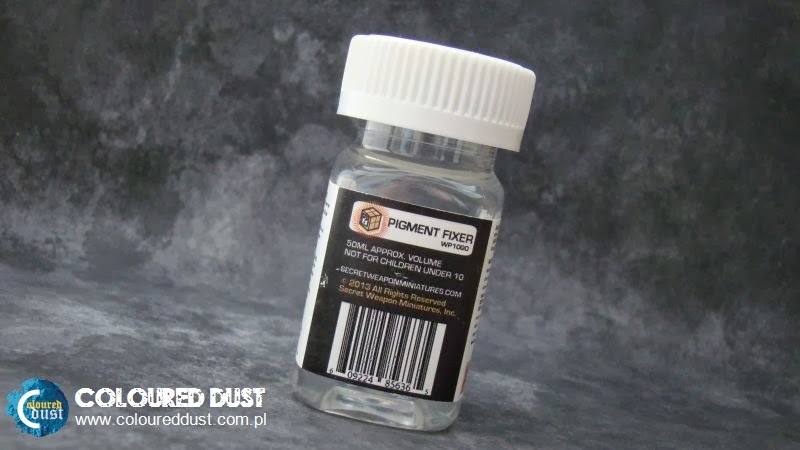 You can apply this pigment fixer by airbrush. Secret Weapon pigment fixer is thinner than AK Interactive and dry very fast but not to fast. Gel of highest viscosity. It'sideal for strong surface texture and peak retention. Mixed with other products, it increases their transparency, viscosity and resistance. It dries glossy and transparent. Softens and restores all fine brushes used for watercolours, miniatures, silk painting, etc. Does not contain alcohol. Maybe it will be better than my old method How to revitalize the old brushes? I need to try! Used to reserve areas which are to remain unpainted, especially in airbrush techniques. Liquid Mask forms a protective film on the area which we does not want to paint. Once the work is dry, liquid mask is rubbed off with an eraser or piece of cloth, revealing unpainted area. 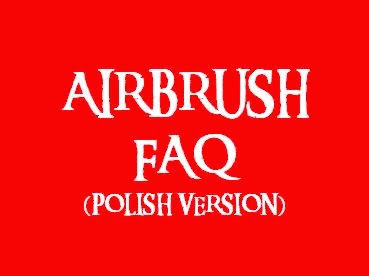 Please read my old article Airbrush - Masking Techniques for more info. To delay drying time of acrylic paints, mix a few drops with the color, or dip brush into retarder on the palette. Colors will not change their consistency. Useful for “wet on wet” techniques and reducing skin formation on the palette. 6 ne colors of Vallejo Model Wash. Please read more about them in my review - Vallejo - Model Wash. I love using them with my airbrush and I'm weating for more colors! Mainly due to lack of time I started to use more paint designed specifically for the airbrush. I always misse basic colors, so I decided to to purchase 16 color set. 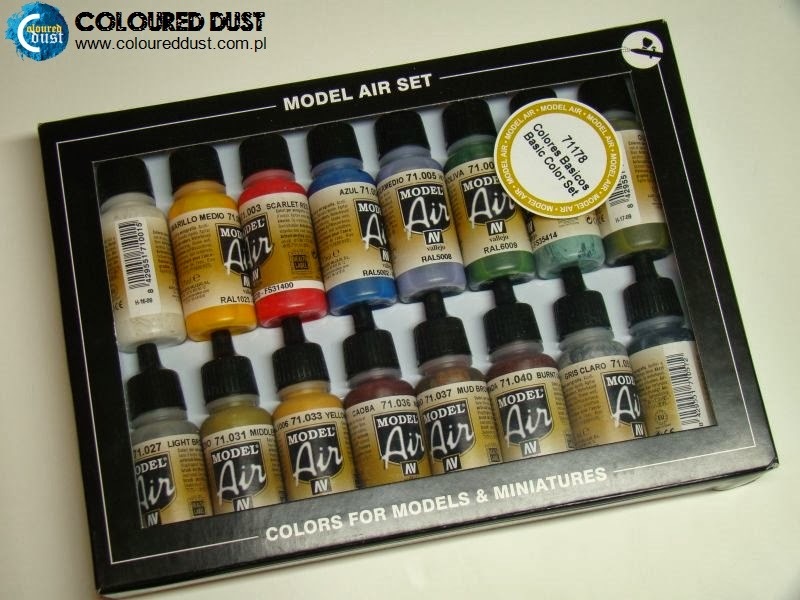 Model Air is a range of liquid acrylic colours developed especially for airbrush techniques, with very finely ground pigments and an acrylic resin with properties of extreme resistence and durability. For me, the only minus of these paints is that the individual colors can differ pigmentation and texture. Set contains 16 bottles of 17 ml. and color chart. Jak sprawuje się Liquid Mask? Czy jest lepszy od Maskola? A jak Extra Headvy Gel się sprawuje? Czy to substancja podobna do sztucznej wody? Extra Headvy Gel to taki Water Efect tylko znacznie mocniejszy. Żel jest gęstszy i pozwala tworzyć, lepiej modelować np. fale. Zamierzam go użyć właśnie do jeszcze fajniejszych efektów z woda na podstawkach. Liquid Mask sprawuje się tak samo dobrze jak wszelakie maskole od Humbrola czy Wamodu. Nie ma tu niczego rewolucyjnego.